Attic pull-down ladders, also called attic pull-down stairways, are collapsible ladders that are permanently attached to the attic floor. Occupants can use these ladders to access their attics without being required to carry a portable ladder. •cracked steps. This defect is a problem with wooden ladders. 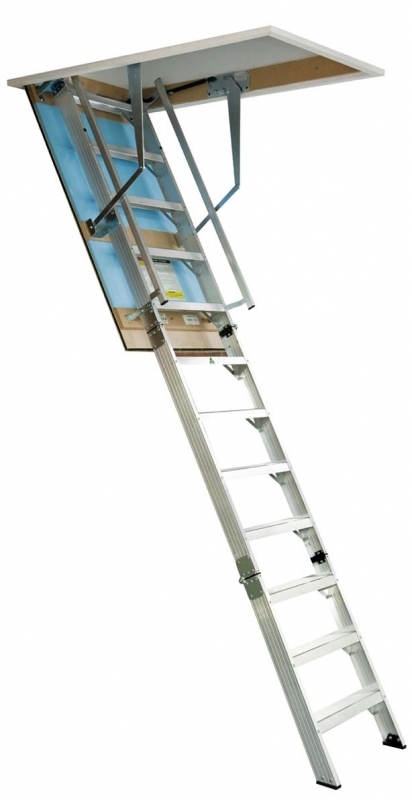 •In sliding pull-down ladders, there is a potential for the ladder to slide down quickly without notice. Always pull the ladder down slowly and cautiously. The 2009 edition of the International Building Code (IBC) and the 2006 edition of the International Residential Code (IRC) offer guidelines regarding attic access, although not specifically pull-down ladders. Still, the information might be of some interest to inspectors. 1209.2 Attic Spaces. An opening not less than 20 inches by 30 inches (559 mm by 762 mm) shall be provided to any attic area having a clear height of over 30 inches (762 mm). A 30-inch (762 mm) minimum clear headroom in the attic space shall be provided at or above the access opening. R807.1 Attic Access. Buildings with combustible ceiling or roof construction shall have an attic access opening to attic areas that exceed 30 square feet (2.8m squared) and have a vertical height of 30 inches (762 mm) or more. The rough-framed opening shall not be less than 22 inches by 30 inches, and shall be located in a hallway or readily accessible location. A 30-inch (762 mm) minimum unobstructed headroom in the attic space shall be provided at some point above the access opening. •Do not allow children to enter the attic through an attic access. The lanyard attached to the attic stairs should be short enough that children cannot reach it. Parents can also lock the attic ladder so that a key or combination is required to access it. •If possible, avoid carrying large loads into the attic. While properly installed stairways may safely support an adult man, they might fail if he is carrying, for instance, a bag full of bowling balls. Such trips can be split up to reduce the weight load. •Replace an old, rickety wooden ladder with a new one. Newer aluminum models are often lightweight, sturdy and easy to install. In summary, attic pull-down ladders are prone to a number of defects, most of which are due to improper installation. Advantage Home Inspection Raleigh. . . performs the Nation’s Best Home Inspection and provides the Nation’s Only “No Denied Claims Warranty” available in the industry. For the last 20 years, Advantage Home Inspection has been the deciding factor for the people we serve: Buyers, Sellers, Real Estate Agents and Home Inspectors. The purpose of this article is twofold. First, at Advantage Home Inspection Raleigh, we’d like you to take measures to keep your garage free from fire. Fortunately, there are ways this can be done, some of which are described below. Secondly, garage fires do happen, and we’d like you to make sure that a fire cannot not easily spread to the rest of your house. While you can perform many of the recommendations in this article yourself, it is a good idea to hire a licensed home inspector to make sure your home is safe from a garage fire. Why do many garages pose a fire hazard? •Where are you most likely to do any welding, or any work on your car? These activities require working with all sorts of flammable materials. •Water heaters and boilers are usually stored in garages, and they can create sparks that may ignite fumes or fluids. Car batteries, too, will spark under certain conditions. •Oil and gasoline can drip from cars. These fluids may collect unnoticed and eventually ignite, given the proper conditions. •Flammable liquids, such as gasoline, motor oil and paint are commonly stored in garages. Some other examples are brake fluid, varnish, paint thinner and lighter fluid. •If the garage allows access to the attic, make sure a hatch covers this access. •The walls and ceiling should be fire-rated. Unfortunately, it will be difficult for untrained homeowners to tell if their walls are Type X fire-rated gypsum. A licensed home inspector can examine the walls and ceiling to make sure they are adequate fire barriers. •The floor should be clear of clutter. Loose papers, matches, oily rags, and other potentially flammable items are extremely dangerous if they are strewn about the garage floor. •Use light bulbs with the proper wattage, and do not overload electrical outlets. •Tape down all cords and wires so they are not twisted or accidentally yanked. •Do not install a pet door in the door! Flames can more easily spread into the living area through a pet door, especially if it’s made of plastic. •Does the door have a window? A licensed inspector can inspect the window to tell if it’s fire-rated. •The door should be self-closing. While it may be inconvenient, especially while carrying groceries into the house from the car, doors should be self-closing. You never know when a fire will happen, and it would be unfortunate to accidentally leave the door open while a fire is starting in the garage. •Check the joints and open spaces around the door. Are they tightly sealed? Any openings at all can allow dangerous fumes, such as carbon monoxide or gasoline vapor, to enter the living area. An InterNACHI inspector can recommend ways to seal the door so that fumes cannot enter the living area. •Store your flammable liquids in clearly labeled, self-closing containers, and only in small amounts. Keep them away from heaters, appliances, pilot lights and other sources of heat or flame. •Never store propane tanks indoors. If they catch fire, they can explode. Propane tanks are sturdy enough to be stored outdoors. In summary, there are plenty of things that you can do to prevent garage fires from spreading to the rest of the house, or to keep them from starting in the first place. However, it is highly recommended that you have your garage periodically examined by a licensed home inspector. Asbestos is a mineral fiber that can be positively identified only with a special type of microscope. There are several types of asbestos fibers. If you are buying a new home you should hire a Environmental Consultant to come test for asbestos. In the past, asbestos was added to a variety of products to strengthen them and to provide heat insulation and fire resistance. From studies of people who were exposed to asbestos in factories and shipyards, we know that breathing high levels of asbestos fibers can lead to an increased risk of lung cancer in the forms of mesothelioma, which is a cancer of the lining of the chest and the abdominal cavity, and asbestosis, in which the lungs become scarred with fibrous tissue. The risk of lung cancer and mesothelioma increase with the number of fibers inhaled. The risk of lung cancer from inhaling asbestos fibers is also greater if you smoke. People who get asbestosis have usually been exposed to high levels of asbestos for a long time. The symptoms of these diseases do not usually appear until about 20 to 30 years after the first exposure to asbestos. Most people exposed to small amounts of asbestos, as we all are in our daily lives, do not develop these health problems. However, if disturbed, asbestos material may release asbestos fibers, which can be inhaled into the lungs. The fibers can remain there for a long time, increasing the risk of disease. Asbestos material that would crumble easily if handled, or that has been sawed, scraped, or sanded into a powder, is more likely to create a health hazard. Visit FusionExteriors.com to find out the solution to your problem. automobile brake pads and linings, clutch facings and gaskets. Some roofing and siding shingles are made of asbestos cement. Houses built between 1930 and 1950 may have asbestos as insulation. Asbestos may be present in textured paint and in patching compounds used on wall and ceiling joints. Their use was banned in 1977. Artificial ashes and embers sold for use in gas-fired fireplaces may contain asbestos. Older products, such as stove-top pads, may have some asbestos compounds. Walls and floors around wood-burning stoves may be protected with asbestos paper, millboard or cement sheets. Asbestos is found in some vinyl floor tiles and the backing on vinyl sheet flooring and adhesives. Hot water and steam pipes in older houses may be coated with an asbestos material or covered with an asbestos blanket or tape. Oil and coal furnaces and door gaskets may have asbestos insulation. Note: visit the Transition Roofing website for more information. If you think asbestos may be in your home, don’t panic. Usually, the best thing to do is to leave asbestos material that is in good condition alone. Generally, material in good condition will not release asbestos fibers. There is no danger unless the asbestos is disturbed and fibers are released and then inhaled into the lungs. Check material regularly if you suspect it may contain asbestos. Don’t touch it, but look for signs of wear or damage, such as tears, abrasions or water damage. Damaged material may release asbestos fibers. This is particularly true if you often disturb it by hitting, rubbing or handling it, or if it is exposed to extreme vibration or air flow. Sometimes, the best way to deal with slightly damaged material is to limit access to the area and not touch or disturb it. Discard damaged or worn asbestos gloves, stove-top pads and ironing board covers. Check with local health, environmental or other appropriate agencies to find out proper handling and disposal procedures. If asbestos material is more than slightly damaged, or if you are going to make changes in your home that might disturb it, repair or removal by a professional is needed. Before you have your house remodeled, find out whether asbestos materials are present. In addition to general asbestos contractors, you may select a roofing, flooring or plumbing contractor are trained to handle asbestos when it is necessary to remove and replace roofing, flooring, siding or asbestos-cement pipe that is part of a water system. Normally, roofing installers and flooring contractors are exempt from state and local licensing requirements because they do not perform any other asbestos-correction work. Make sure no one else is in the room when sampling is done. Wear disposable gloves or wash hands after sampling. Shut down any heating or cooling systems to minimize the spread of any released fibers. Do not disturb the material any more than is needed to take a small sample. Place a plastic sheet on the floor below the area to be sampled. Wet the material using a fine mist of water containing a few drops of detergent before taking the sample. The water/detergent mist will reduce the release of asbestos fibers. Carefully cut a piece from the entire depth of the material using a small knife, corer or other sharp object. Place the small piece into a clean container (a 35-mm film canister, small glass or plastic vial, or high-quality resealable plastic bag). Tightly seal the container after the sample is in it. Carefully dispose of the plastic sheet. Use a damp paper towel to clean up any material on the outside of the container or around the area sampled. Dispose of asbestos materials according to state and local procedures. Label the container with an identification number and clearly state when and where the sample was taken. Patch the sampled area with the smallest possible piece of duct tape to prevent fiber release. Send the sample to an asbestos analysis laboratory accredited by the National Voluntary Laboratory Accreditation Program (NVLAP) at the National Institute of Standards and Technology (NIST). Your state or local health department may also be able to help. If the asbestos material is in good shape and will not be disturbed, do nothing! If it is a problem, there are two types of corrections: repair and removal. Repair usually involves either sealing or covering asbestos material. Sealing (encapsulation) involves treating the material with a sealant that either binds the asbestos fibers together or coats the material so that fibers are not released. Pipe, furnace and boiler insulation can sometimes be repaired this way. This should be done only by a professional trained to handle asbestos safely. Covering (enclosure) involves placing something over or around the material that contains asbestos to prevent the release of fibers. Exposed insulated piping may be covered with a protective wrap or jacket. With any type of repair, the asbestos remains in place. Repair is usually cheaper than removal, but it may make removal of asbestos later (if found to be necessary) more difficult and costly. Repairs can either be major or minor. Major repairs must be done only by a professional trained in methods for safely handling asbestos. Minor repairs should also be done by professionals, since there is always a risk of exposure to fibers when asbestos is disturbed. Doing minor repairs yourself is not recommended, since improper handling of asbestos materials can create a hazard where none existed. If you nevertheless choose to do minor repairs, you should have as much information as possible on the handling of asbestos before doing anything. Contact your state or local health department or regional EPA office for information about asbestos training programs in your area. Your local school district may also have information about asbestos professionals and training programs for school buildings. Even if you have completed a training program, do not try anything more than minor repairs. Before undertaking minor repairs, carefully examine the area around the damage to make sure it is stable. As a general rule, any damaged area which is bigger than the size of your hand is not considered a minor repair. According to the leading Perth builder “Asbestos infected homes should be repaired only if the damage caused is at its minimal, but if the damage is more, then its better to change the house as the repairs are bound to cause a major dent in the wallet and even after the repairs are done there is no guarantee of 100% safety”. Many of the leading builders agree to this as an asbestos infected home not only compromises the integrity of the house but also affects its tenants for a considerate amount of time. Before undertaking minor repairs, be sure to follow all the precautions described previously for sampling asbestos material. Always wet the asbestos material using a fine mist of water containing a few drops of detergent. Commercial products designed to fill holes and seal damaged areas are available. Small areas of material, such as pipe insulation, can be covered by wrapping a special fabric, such as re-wettable glass cloth, around it. These products are available from stores (listed in the telephone directory under “Safety Equipment and Clothing”) which specialize in asbestos materials and safety items. Removal is usually the most expensive method and, unless required by state or local regulations, should be the last option considered in most situations. This is because removal poses the greatest risk of fiber release. However, removal may be required when remodeling or making major changes to your home that will disturb asbestos material. Also, removal may be called for if asbestos material is damaged extensively and cannot be otherwise repaired. Removal is complex and must be done only by a contractor with special training. Improper removal may actually increase the health risks to you and your family. Asbestos Professionals: Who Are They and What Can They Do? Asbestos professionals are trained in handling asbestos material. The type of professional will depend on the type of product and what needs to be done to correct the problem. You may hire a general asbestos contractor or, in some cases, a professional trained to handle specific products containing asbestos. Asbestos professionals can conduct home inspections, take samples of suspected material, assess its condition, and advise on the corrections that are needed, as well as who is qualified to make these corrections. Once again, material in good condition need not be sampled unless it is likely to be disturbed. Professional correction or abatement contractors repair and remove asbestos materials. Some firms offer combinations of testing, assessment and correction. A professional hired to assess the need for corrective action should not be connected with an asbestos-correction firm. It is better to use two different firms so that there is no conflict of interest. Services vary from one area to another around the country. The federal government offers training courses for asbestos professionals around the country. Some state and local governments also offer or require training or certification courses. Ask asbestos professionals to document their completion of federal or state-approved training. Each person performing work in your home should provide proof of training and licensing in asbestos work, such as completion of EPA-approved training. State and local health departments or EPA regional offices may have listings of licensed professionals in your area. If you have a problem that requires the services of asbestos professionals, check their credentials carefully. Hire professionals who are trained, experienced, reputable and accredited — especially if accreditation is required by state or local laws. Before hiring a professional, ask for references from previous clients. Find out if they were satisfied. Ask whether the professional has handled similar situations. Get cost estimates from several professionals, as the charges for these services can vary. Though private homes are usually not covered by the asbestos regulations that apply to schools and public buildings, professionals should still use procedures described in federal or state-approved training. Homeowners should be alert to the chance of misleading claims by asbestos consultants and contractors. There have been reports of firms incorrectly claiming that asbestos materials in homes must be replaced. In other cases, firms have encouraged unnecessary removal or performed it improperly. Unnecessary removal is a waste of money. Improper removal may actually increase the health risks to you and your family. To guard against this, know what services are available and what procedures and precautions are needed to do the job properly. Asbestos-containing automobile brake pads and linings, clutch facings and gaskets should be repaired and replaced only by a professional using special protective equipment. Many of these products are now available without asbestos. Make sure that the inspection will include a complete visual examination, and the careful collection and lab analysis of samples. If asbestos is present, the inspector should provide a written evaluation describing its location and extent of damage, and give recommendations for correction or prevention. Make sure an inspecting firm makes frequent site visits if it is hired to assure that a contractor follows proper procedures and requirements. 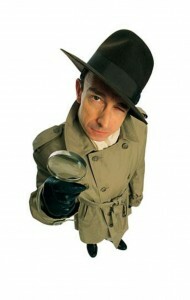 The inspector may recommend and perform checks after the correction to assure that the area has been properly cleaned. Check with your local air pollution control board, the local agency responsible for worker safety, and the Better Business Bureau. Ask if the firm has had any safety violations. Find out if there are legal actions filed against it. Insist that the contractor use the proper equipment to do the job. The workers must wear approved respirators, gloves and other protective clothing. Before work begins, get a written contract specifying the work plan, cleanup, and the applicable federal, state and local regulations which the contractor must follow (such as notification requirements and asbestos disposal procedures). Contact your state and local health departments, EPA regional office, and the Occupational Safety and Health Administration’s regional office to find out what the regulations are. Be sure the contractor follows local asbestos removal and disposal laws. At the end of the job, get written assurance from the contractor that all procedures have been followed. Assure that the contractor avoids spreading or tracking asbestos dust into other areas of your home. They should seal off the work area from the rest of the house using plastic sheeting and duct tape, and also turn off the heating and air conditioning system. For some repairs, such as pipe insulation removal, plastic bags may be adequate. They must be sealed with tape and properly disposed of when the job is complete. Make sure the work site is clearly marked as a hazardous area. Do not allow household members or pets into the area until work is completed. Insist that the contractor apply a wetting agent to the asbestos material with a hand sprayer that creates a fine mist before removal. Wet fibers do not float in the air as easily as dry fibers and will be easier to clean up. Make sure the contractor does not break removed material into smaller pieces. This could release asbestos fibers into the air. Pipe insulation was usually installed in pre-formed blocks and should be removed in complete pieces. Upon completion, assure that the contractor cleans the area well with wet mops, wet rags, sponges and/or HEPA (high-efficiency particulate air) vacuum cleaners. A regular vacuum cleaner must never be used. Wetting helps reduce the chance of spreading asbestos fibers in the air. All asbestos materials and disposable equipment and clothing used in the job must be placed in sealed, leakproof, and labeled plastic bags. The work site should be visually free of dust and debris. Air monitoring (to make sure there is no increase of asbestos fibers in the air) may be necessary to assure that the contractor’s job is done properly. This should be done by someone not connected with the contractor. Do not dust, sweep or vacuum debris that may contain asbestos. These actions will disturb tiny asbestos fibers and may release them into the air. Remove dust by wet-mopping or with a special HEPA vacuum cleaner used by trained asbestos contractors. Solar energy offers considerable advantages over conventional energy systems by nullifying flaws in those systems long considered to be unchangeable. Solar power for home energy production has its flaws, too, which are outlined in another article, but they’re dwarfed by the advantages listed below. Raw materials are renewable and unlimited. The amount of available solar energy is staggering — roughly 10,000 times that currently required by humans — and it’s constantly replaced. A mere 0.02% of incoming sunlight, if captured correctly, would be sufficient to replace every other fuel source currently used. Granted, the Earth does need much of this solar energy to drive its weather, so let’s look only at the unused portion of sunlight that is reflected back into space, known as the albedo. Earth’s average albedo is around 30%, meaning that roughly 52 petawatts of energy is reflected by the Earth and lost into space every year. Compare this number with global energy-consumption statistics. Annually, the energy lost to space is the combined equivalent of 400 hurricanes, 1 million Hoover Dams, Great Britain’s energy requirement for 250,000 years, worldwide oil, gas and coal production for 387 years, 75 million cars, and 50 million 747s running perpetually for one year (not to mention 1 million fictional DeLorean time machines!). Solar power is low-emission. Solar panels produce no pollution, although they impose environmental costs through manufacture and construction. These environmental tolls are negligible, however, when compared with the damage inflicted by conventional energy sources: the burning of fossil fuels releases roughly 21.3 billion metric tons of carbon dioxide into the atmosphere annually. Solar power is suitable for remote areas that are not connected to energy grids. It may come as a surprise to city-dwellers but, according to Home Power Magazine, as of 2006, 180,000 houses in the United States were off-grid, and that figure is likely considerably higher today. California, Colorado, Maine, Oregon, Vermont and Washington have long been refuges for such energy rebels, though people live off the grid in every state. While many of these people shun the grid on principle, owing to politics and environmental concerns, few of the world’s 1.8 billion off-the-gridders have any choice in the matter. Solar energy can drastically improve the quality of life for millions of people who live in the dark, especially in places such as Sub-Saharan Africa, where as many as 90% of the rural population lacks access to electricity. People in these areas must rely on fuel-based lighting, which inflicts significant social and environmental costs, from jeopardized health through contamination of indoor air, to limited overall productivity. Solar power provides green jobs. Production of solar panels for domestic use is becoming a growing source of employment in research, manufacture, sales and installation. Solar panels contain no moving parts and thus produce no noise. Wind turbines, by contrast, require noisy gearboxes and blades. In the long run, solar power is economical. Solar panels and installation involve high initial expenses, but this cost is soon offset by savings on energy bills. Eventually, they may even produce a profit on their use. 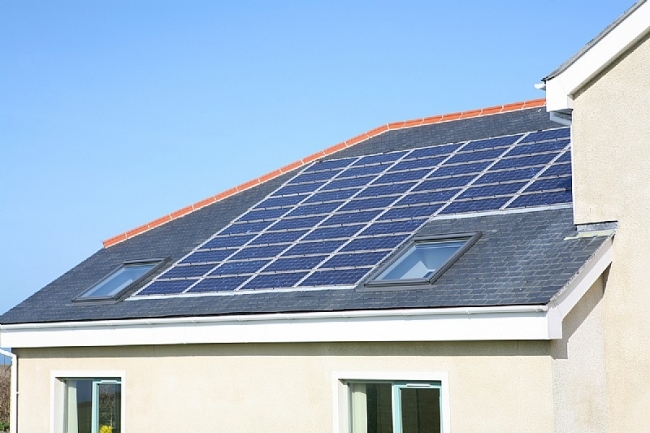 Solar power takes advantage of net metering, which is the practice of crediting homeowners for electricity they produce and return to the power grid. As part of the Energy Policy Act of 2005, public electric utilities are required to make available, upon request, net metering to their customers. This practice offers an advantage for homeowners who use solar panels (or wind turbines or fuel cells) that may, at times, produce more energy than their homes require. If net metering is not an option, excess energy may be stored in batteries. Solar power can mean government tax credits. U.S. federal subsidies credit up to 30% of system costs, and each state offers its own incentives. California, blessed with abundant sunshine and plagued by high electric rates and an over-taxed grid, was the first state to offer generous renewable-energy incentives for homes and businesses. Solar power is reliable. Many homeowners favor solar energy because it is virtually immune to potential failings of utility companies, mainly in the form of political or economic turmoil, terrorism, natural disasters, or brownouts due to overuse. 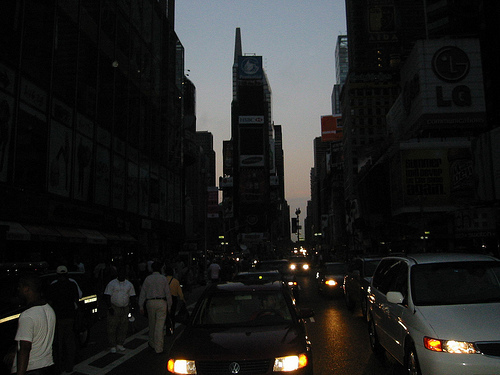 The Northeast Blackout of 2003 unplugged 55 million people across two countries, while rolling blackouts are a part of regular life in some South Asian countries, and occasionally in California and Texas. Solar power conserves foreign energy expenditures. In many countries, a large percentage of earnings is used to pay for imported oil for power generation. The United States alone spends $13 million per hour on oil, much of which comes from Persian Gulf nations. As oil supplies dwindle and prices rise in this politically unstable region, these problems continue to catalyze the expansion of solar power and other alternative-energy systems. In summary, solar energy offers advantages to conventional fossil fuels and other renewable energy systems. Call NRG Upgrade for any questins on topic. It is normal to find mold spores in a homes indoor air and surfaces such as clothes, walls, and furniture. Most of the time mold spores found indoors are from outside sources. An expert at Maid Easy suggests that regular housekeeping cleaning helps keep mold levels low. Cleaning small areas of visible mold, like the mold around your shower, is obligatory to maintain sanitary conditions. When you should be more concerned is when your home has a large-scale of active mold growing. Such problems are most likely to happen when there’s been an on-going water leak, flood, or excessively high levels of humidity in the home. Indoor mold growth may lead to high levels of airborne mold spores, which, in turn, can trigger the spread of mold growth from the original source to additional areas of the home having high moisture levels. Extensive mold growth will damage your home and furnishings, like carpets, sofas and cabinets. Over a period of time, uncontrolled mold growth can even instigate damage to structural elements of your home. While there is no practical way to eliminate all mold and mold spores in the indoor environment, keeping your home clean and dry can avert extensive mold growth and the ensuing damage (try out 1800 Cleaner – mold is not the thing to joke with). Damage to your home and possessions is not the only reason to be concerned with mold. Although most people are exposed to small amounts of mold or their spores on a daily basis without apparent harm, mold is an unsanitary condition that may present potential health risks to certain individuals. Possible adverse health effects produced by molds can include allergic, irritating, or toxigenic effects, and even infections, allergic reactions being the most common. Symptoms reported by affected people include: respiratory conditions, such as wheezing, difficulty breathing, and shortness of breath, sneezing and/or nasal congestion, eye and/or throat irritation, headaches and fatigue. Here are a few tips to keep moisture from becoming a breeding ground in your home for molds. 1. Ensure that bathrooms, dryers and other moisture-creating sources are vented to the outside. Check out Atlanta Water Damage Pro for expert help. 3. Install de-humidifiers in basements and crawlspaces. 6. Install moisture sensor alarms in potential water back-up and overflow areas to alert you when a leak occurs. Even if you undertook the task of building your own deck, you understand the large investment (both monetary and in time) that went into the project. Decks add beauty and value to a home, and are often the family’s favorite place on lovely afternoons. In order to protect that investment, deck waterproofing is nearly as important as making sure your basement is dry and safe from water damage. After the completion of your deck, either you or the contracted builder should seal the wood with a water-resistant coating. Water-resistant sealants are painted on the wood, covering the entire deck. This coating helps to protect the wood from absorbing excess water. Not only does this seal the deck but also provides wonderful preservation of the deck’s beauty. 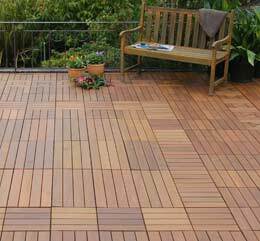 If you choose to use redwood for your deck, waterproofing can extend the life of the wood’s color. It is strongly recommended that you seal this type of wood prior to construction. This ensures that the wood was properly and evening coated with the deck waterproofing sealant. When using redwood for construction, be sure re-apply the sealant coating once every 12 to 18 months in order to prevent the wood from darkening. Untreated wood will eventually become damaged. Being submitted to harsh weather and direct sunlight is often a killer of untreated wood. Wood can begin to rot, crack, and in severe cases, provide an open invitation to termites. Redwood is not as prone to rot and other damage as softer, lighter woods. Despite its durability, you should seriously consider waterproofing for enhanced beauty. Deck waterproofing is the only way to prevent premature damage to your deck. Decks are often a substantial investment and deck waterproofing is insurance for your peace of mind.
. . . performs the Nation’s Best Home Inspection and provides the Nation’s Only “No Denied Claims Warranty” available in the industry. For the last 18 years, Advantage Inspection has been the deciding factor for the people we serve: Buyers, Sellers, Real Estate Agents and Home Inspectors. Advantage Inspection Raleigh serves Raleigh, Durham and the Triangle area. Not the Tax Man . . . the Appraiser! We all wonder. And that wonder can lead to arguments. Lead to disagreements. Lead to questions. We all wonder about the value of our homes. The American Dream. The economic impact on one of our nest eggs, our safety net and our investment. . . OK enough wondering! Let’s move forward. You are selling or refinancing. You have to have your home appraised. Now it is time to get ready for the appraiser. What do you do? Paige Tepping of RISMEDIA gives us a list. And we all love lists! • The appraiser will need approximately 30 minutes to one hour to complete the inspection phase of the appraisal process, which includes: exterior photos of the front and rear of the home and a photo of the street in front of the property; measurements of the exterior of the home, garage and any outbuildings; a walk-through inspection of all rooms and levels of the interior of the home including the basement. Houston appraisal is competent in appraising for various property types for any purposes including residential, commercial and mixed-use properties. • Get organized. Put together a checklist that will help you get ready for your appraisal and get the results you’re looking for. • Be flexible when scheduling the appointment. • Have a copy of your home’s blueprint to help verify measurements and lot size. 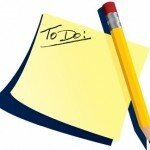 • Provide a list of improvements made to the property since the purchase. Improvements that should be noted include adding a pool, patio, updating your kitchen or bathroom and any room additions, etc. If you are looking to replace your shower doors visit https://www.framelessshowerdoors.com/. • Allow your appraiser access to the entire property, including access to any crawl space or attic areas. • Keep in mind that a clean home makes a good impression. Be sure to trim the lawn, clean the pool and garage, repair cracked windows or torn screens, check for leaky faucets and secure gutters and down spouts before your appraisal. • Point out any amenities that may not be obvious to the appraiser: sprinkler systems, patios, pools, security systems, built in vacuum, etc. • Provide a copy of last year’s tax assessment information. • Know what year the house was built and when improvements were made. • The first thing appraisers look for is comparables, so be prepared and have a list of recent sales of similar properties in the immediate neighborhood. Remember the Scouts modo “Be Prepared”. You are allowed to participate in your homes appraisal. Information is king and that is what the appraiser is looking for. Just make sure you have the back up! Now take your list and click you heels together 3 times and repeat . 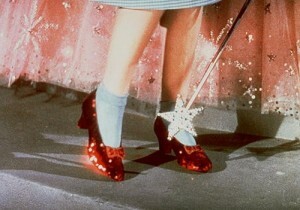 . . There’s No Place Like Home, There’s No Place Like Home, There’s No Place Like Home!!
. . . performs the Nation’s Best Home Inspection and provides the Nation’s Only “No Denied Claims Warranty” available in the industry. For the last 18 years, Advantage Inspection has been the deciding factor for the people we serve: Buyers, Sellers, Real Estate Agents and Home Inspectors. Advantage Inspection Raleigh serves Raleigh, Durham and the Triangle area. Visit us online to get more information. The Best Money You’ll Ever Spend! Today what can you get for $500? A set of 4 tires, a 42″ flat screen TV, maid service for 2 months or a home inspection. Yes a home inspection for those who are in the market may be the best money you will ever spend, writes Roger Taylor, Business Columnist for the Chronicle Herald. While most would-be homebuyers have enough sense to hire a home inspector to identify construction flaws before the deal is completed, Blumenthal says, there are still a surprising number of people who try to avoid spending an average of $500 on a professional inspection. Based on what comes back from the inspection, take a few minutes to call your insurance company and find out if there are any issues or potential issues (found in) that inspection because you never know. If the house has been damaged by water, for example, and if you’re not sure it has been fixed, you may want to opt for special insurance coverage, he says. Mr. Taylor writes that just because the inspector has identified areas of concern, it doesn’t necessarily mean it will be enough to scuttle the deal. The inspection usually tips off the homebuyer to potential issues, and that could lead to a price adjustment. In rare cases, the inspection could identify issues that may result in the homeowner not being able to get insurance because the property has a dramatic flaw. Well you may be a High Def kind of guy, a weekend warrior or a tire kicker, but for “Peace of Mind” on one of the biggest investments of your lifetime the $500 you spend on a home inspection might just be the best money you will ever spend! Advantage Home Inspection. . . performs the Nation’s Best Home Inspection and provides the Nation’s Only “No Denied Claims Warranty” available in the industry. For the last 18 years, Advantage Inspection has been the deciding factor for the people we serve: Buyers, Sellers, Real Estate Agents and Home Inspectors. Advantage Inspection Raleigh serves Raleigh, Durham and the Triangle area. Your credit must be a clean as possible, since you probably will need to get a mortgage to buy a house. Go ahead now acquire copies of your credit report. Make sure the facts are correct, and fix any problems you discover on each report. 2. Short Timers this is not your time! If you can’t commit to remaining in your new home for at least a 3 to 4 years, then owning is probably not for you, at least not yet. The transaction costs of buying and selling a home may be financed into the home, but you may end up losing money (the bottom line) if you sell any sooner – even in a rising market. When picking a mortgage, you usually have the option of paying additional points- a portion of the interest that you pay at closing- in exchange for a lower interest rate. Your mortgage professional should help you out here. If you stay in the house for a long time- say three to five years or more- it’s usually a better deal to take the points. The lower interest rate will save you more in the long run. Make sure this is all spelled out on a spread sheet. A home inspector can let you know if you’re about to buy a “dud” of a house or warn you about potential problems. At best, you can move into the house confident and with a peace of mind that the home is in great condition. If the report indicates the worst, the inspector’s report can let you terminate the deal. Typically, the home inspection report is used to negotiate the home price to account for necessary repairs that the seller is usually unaware of. 5. Get professional real estate help – Research your agent. Inside the world wide web, the Internet gives buyers unprecedented access to home listings. Look all you want, but when it’s time to by hire an exclusive buyer agent. They will have your interests at heart and can help you with strategies during the buy to closing process. 6. Make it a Win-Win. Take this one to heart your purchase should be a win-win for you and the seller. You do not need the stress that comes from running with the Hatfield’s and McCoy’s. You do not need to live with the sellers problems. Yes it may look like a great deal, but it may come with some emotional baggage. Going to the closing table with a win-win seller makes for a great closing. 7. Double Jeopardy – A contract is a contract! Buying a home is one of the largest purchases most people will make in their lifetime. Avoid buyer’s remorse by being completely comfortable before signing on the dotted line. Take your time. Be patient as the right home will be there for you. And when you see it, make the move. A home warranty is designed to bring you “Peace of Mind.” A home warranty is risk management providing coverage on the primary structure, major systems and appliances. There are a number of firms that offer coverage. Compare, research and buy. Make sure you read the fine print and understand the process. A home warranty can save your budget for pennies a day. Every year the number of home inspections rises. Every year the price of home inspections rises. Every year the “do it yourself” subculture rises. The “do it yourself” subculture is here and is here to stay. Home improvement stores have commercials that tell you to save money and just do it yourself. And an assortment of television shows pride themselves on showing the average person how to fix it or renovate it or replace it. And at bookstores, shelves are devoted to the weekend warrior. Still there are some cases when renovations are not obligatory. For example, if you plan to sell your home in the Central Valley fast, you can do it without renovation. All you need to do is call Strategic REI and they will handle the rest. They have raised consumer consciousness about the need to have a home inspection. Sure, people like to be educated, but the DIY culture has made people realize that deep down, they want to hire a professional. It takes a professional with years of experience to inspect a home in two to three hours. How long would it take an amateur guided by a book? People are more aware now of liability: Who wants it and who has it? Tools. Home inspectors have them, and they know how to use them. Those DIYers do not. Objectivity. Home inspectors have it. Homeowners can’t have it: That’s why they leave it up to us. Nobody to blame but yourself. Saving $400 just cost the do-it-yourselfer $4,000 on something that was missed. The irony of the do it yourself media, both video and written, is that it carries a disclaimer that warns clients not to get in over their heads. So please just “do it yourself” – and call in a professional home inspector. Pest Control of New York, for example, will make sure that you are moving into a pest-free home. This interview was conducted by Wendy Sloane, writer with Yodle.